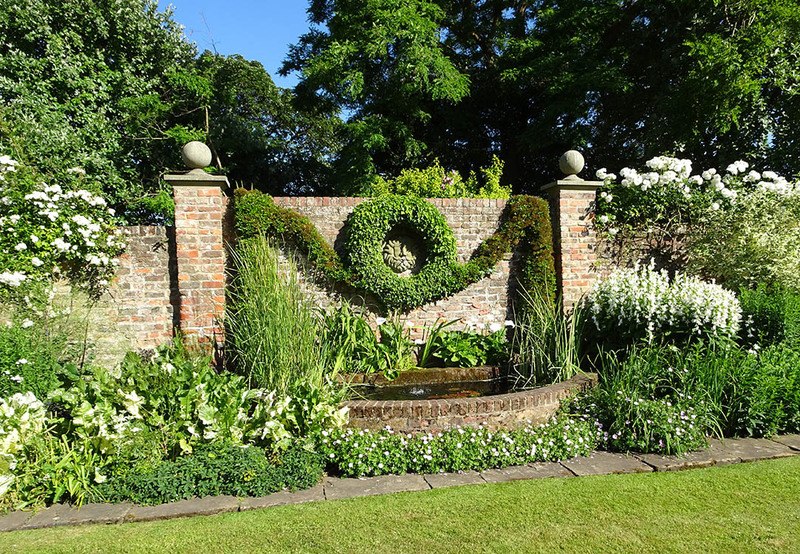 On Sunday, 24 June, the 50th Anniversary of the national society was celebrated in sparkling style with a garden party at the Manor House, Heslington, York. 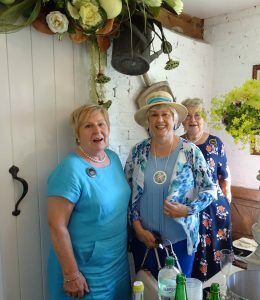 On Sunday, 24 June, the 50th Anniversary of the national society was celebrated in sparkling style with a garden party at the Manor House, Heslington, York. 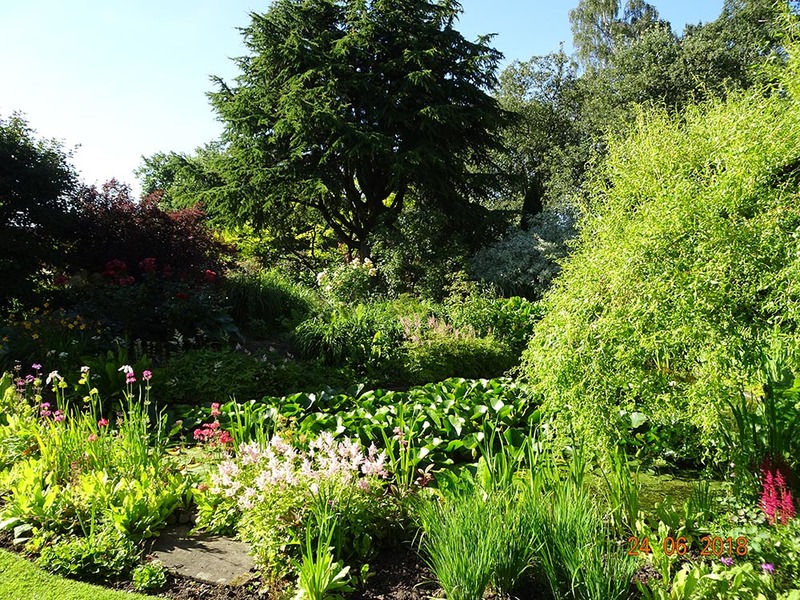 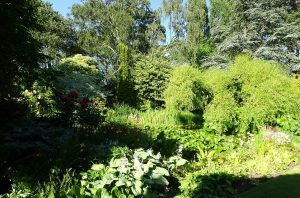 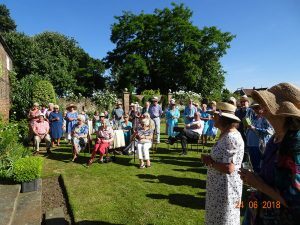 Mr George Smith generously gave his garden for the celebration, and more than 140 members of The Arts Society York and The Arts Society Ebor enjoyed the beautiful grounds in glorious sunshine, while welcoming Julie Goldsmith, the National Chairman. 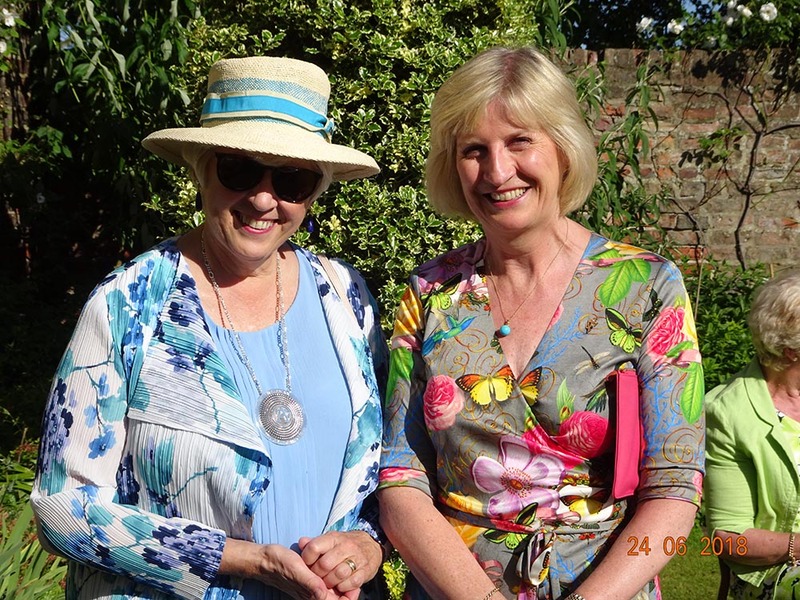 Members toasted the anniversary, and were delighted that a donation was made to the Yorkshire Air Ambulance. Last year, it was Jo Foster's excellent idea to ask George Smith if we could hold the anniversary party in his garden, and his generosity in giving us the afternoon meant that we were able to give a donation to his chosen charity. The garden looked glorious - a real tribute to all the hard work undertaken by George, Brian and David. 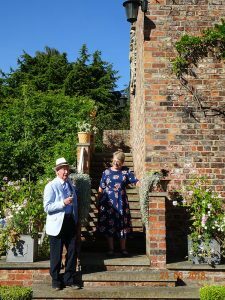 I don't think that any guests went thirsty or hungry - mainly due to the efforts made by Helen and Conal Gregory, who worked incredibly hard to ensure that supplies of sparkling wine and elderflower cordial kept everyone's glasses full. 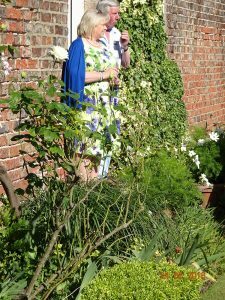 Committee members from York and Ebor served canapes even unto the furthest reaches of the garden, and I think that everyone enjoyed the beautiful surroundings.